This 2500 watt 48V dc modified sine inverter is a stackable power inverter with a peak DC and AC conversion efficiency of 80%. Its output can be stacked to achieve higher wattage to meet increased power demand, or simply get redundancy for your critical loads. It supports up to 10 pcs in parallel operation. This high efficiency inverter converts 48 Volts DC to 2500 Watts of modified sine wave AC power at 110 Volts or 120V, 60 Hz. 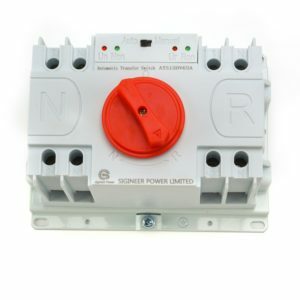 Features include detachable communication cable, built-in 20A power outlet, overload protection, low battery alarm / shut down, low idle power draw of less than 0.12 Amps. Package includes free accessories such as . DC cables, AC cables, fuses, CAT cable, remote control set. Pls click here if you are looking for a transformer based 2000w inverter charger.